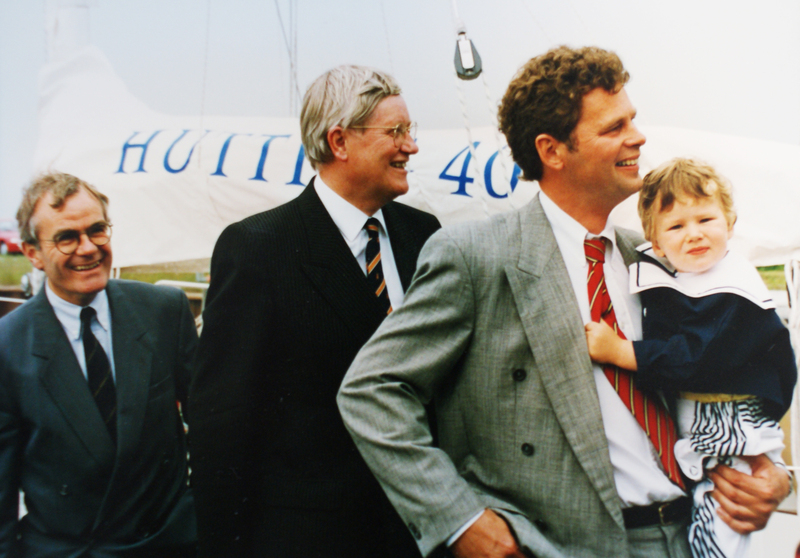 “I want to be a yacht builder” said Tjerk when he was 10 years old after his first visit to a boatyard . 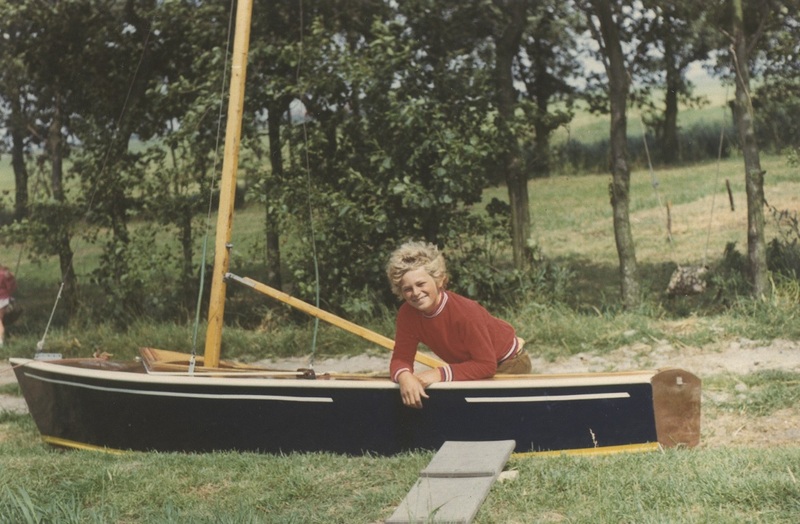 As determined as he was, he built his first sailing dinghy when he was 15 years old in his parents’ garage: an Optimist, which was a present for his two younger sisters. Having had vocational training he followed it up with technical training and started working for a builder specialising in building wooden racing yachts. 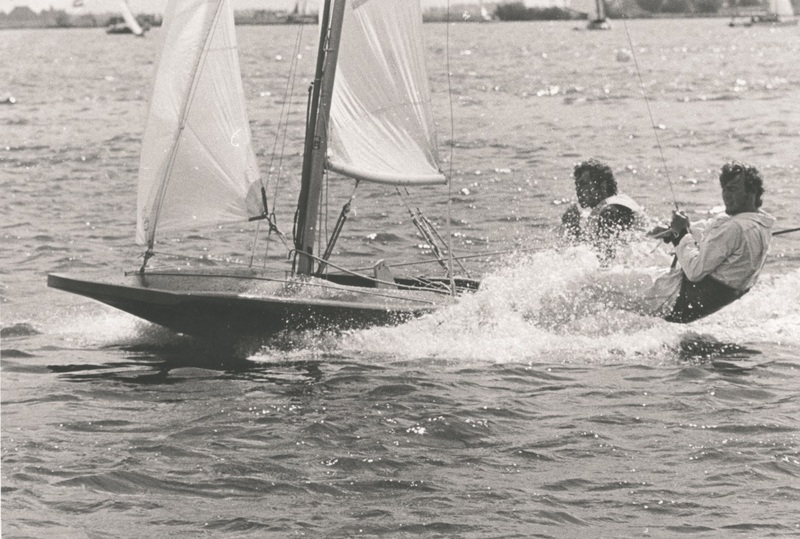 In 1974 Tjerk came into contact with a dinghy racer who was having difficulty reaching the top of the“Schakel” -class. In his spare time and with the help of his older brother Henk, who studied physics, plans for the “Schakel” were modified. The choice of materials, the hull shape, the sails and the centerboard were tweaked in the details. 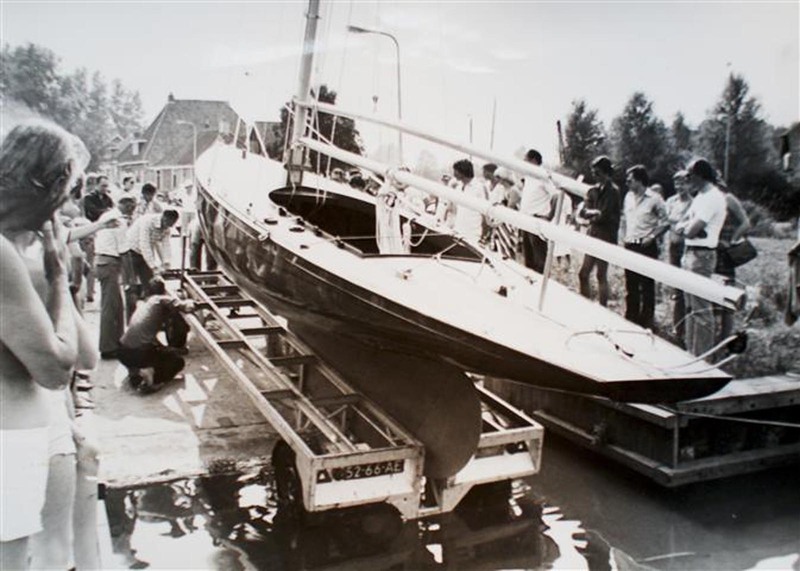 The result: The first race of the “Schakel” with sail number 2213 (during Sneekweek 1975) won by a landslide. As a result many orders for the fast sailing dinghy’s were placed. On the 17th of October 1975 “Hutting Jachtbouw” was registered with the Chamber of Commerce. In a double garage in Akkrum, without toilet, heating or daylight, many “Schakels”, “Valkens”, “16m2” and “Rainbows” were built which all became successful on the Dutch racing scene. 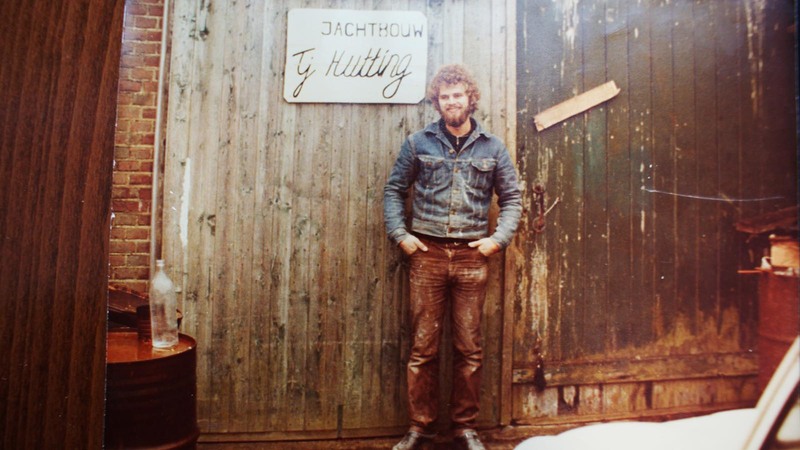 The success continued and in 1979 Hutting Jachtbouw moved into a new facility in the famous Frisian sailing village of Grou. In 1985 Tjerk was approached to build a 40ft sailing yacht designed by D.Koopmans. The yacht was built and the owner sailed her around the world successfully. Tjerk developed the design further in cooperation with the designer D.Koopmans and the result was the first Hutting 40, which was launched in 1989. Having attended numerous boatshows in The Netherlands, Germany and England, the Hutting 40 soon became known in the cruising world for its seaworthiness and classic lines. The company boomed as a result of the many orders the Hutting 40 and soon the company needed to expand it production capabilities. For this reason a new yard was developed and built in Makkum in 1993. Following on from the concept of the Hutting 40 new designs were developed in close cooperation with D.Koopmans resulting among others in the Hutting 45 and the Hutting 50. Hutting sailing yachts can now be come across from the Caribean to the North Pole. 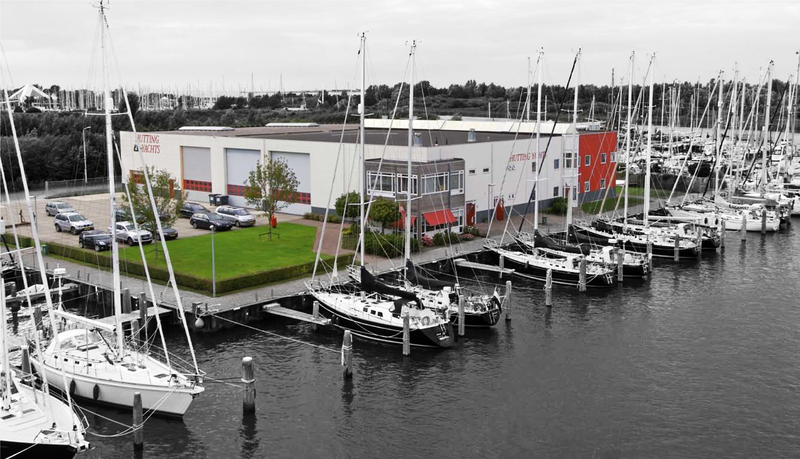 Hutting yachts has grown from its early beginnings in a small family garage to a fully equipped shipyard accommodating newbuilds, refits and marina facilities.